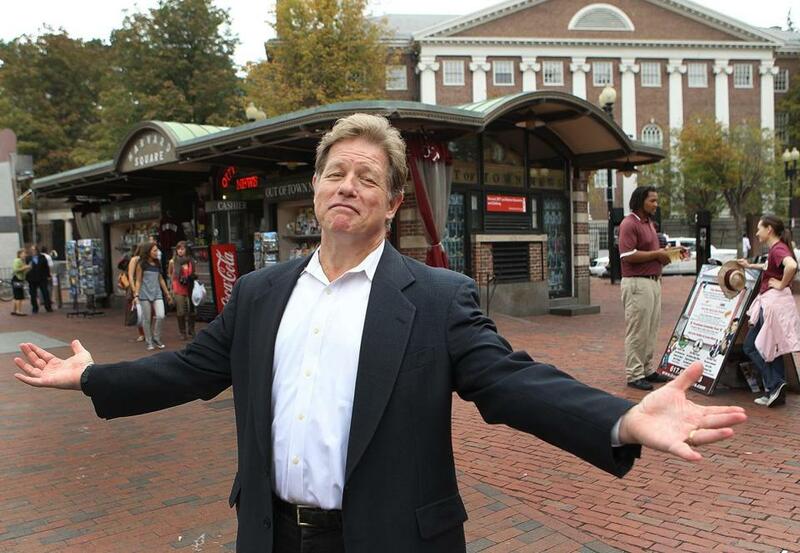 Jimmy Tingle in Harvard Square. Comedian Jimmy Tingle has formed a committee to run for lieutenant governor as a Democrat. Tingle, who has long made politics a feature of his comedy, filed paperwork with state campaign finance regulators Friday morning stating that he would run for the state’s No. 2 spot in 2018. A Cambridge resident who has appeared at political functions over the years, Tingle received his master’s degree in public administration from Harvard, according to his website, and delivered the school’s commencement address in 2010. In a brief telephone interview, Tingle confirmed his bid. “I’ve been doing social and political humor for over 30 years, and I’d like to take it to the next level,” Tingle said. One other Democrat, Quentin Palfrey, a former Obama administration official, has also announced he’s seeking the No. 2 spot on the ticket.